The President of the Riigikogu represents the Riigikogu and presides over its work. The President of the Riigikogu convenes and chairs the meetings of the Board of the Riigikogu. The First Vice-President of the Riigikogu performs the duties of the President of the Riigikogu when the President of the Riigikogu is not present, his or her mandate has been suspended, and in certain other cases. The Second Vice-President of the Riigikogu performs the duties of the President of the Riigikogu when the President of the Riigikogu is not present, his or her mandate has been suspended, and in certain other cases. The number of the Members of the Riigikogu – 101 – is the approximate cube root of the number of the Estonian citizens with the right to vote. 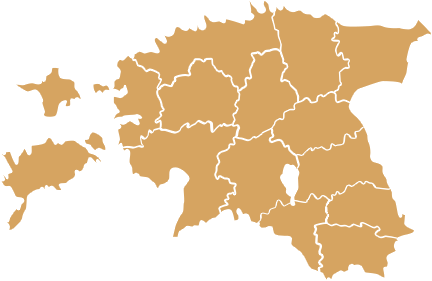 Find members of the Riigikogu by name, or click on an electoral district in the map to see which members of the Riigikogu represent it and which factions and committees they belong to.